Thousands of steps, filling dozens of glasses, delivering as many hot meals. Many smiles and “thank yous” and “you bets.” In high school and college, this is what 60 minutes of being a waitress looked like for me. I liked that job, but it was work. An hour—especially during a supper rush—was exhausting. The combination of people skills, multitasking and physical work it demanded could be downright hard. 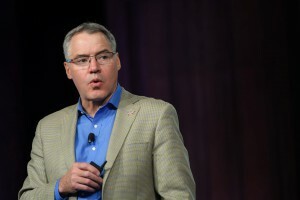 Perhaps today’s consumer isn’t doing this as they weigh how much beef costs. But if they are, chances are they’ll find a number like 12 or 15. 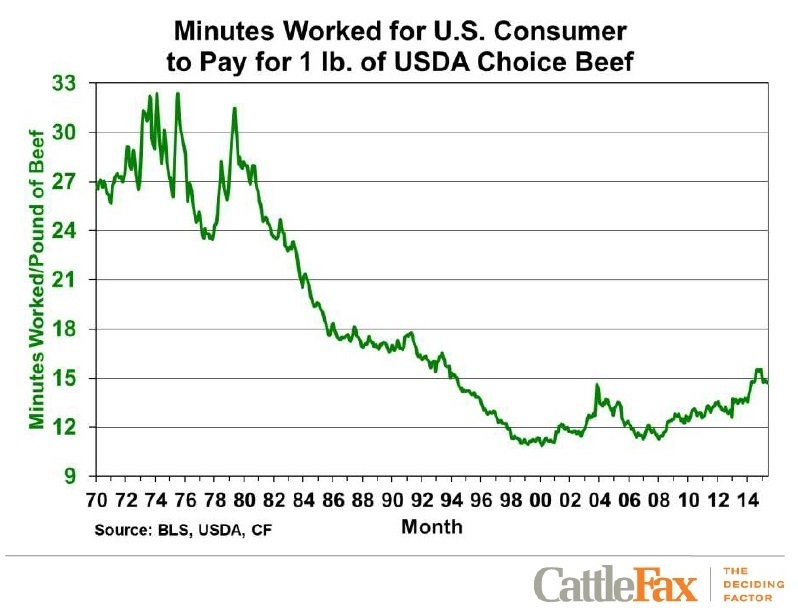 According to CattleFax’s Randy Blach, the average consumer has to work 12 to 15 minutes to pay for a pound of Choice beef. That’s down from more than 30 minutes in the ’70s and ’80s. The senior market analyst says that helps explain why we continue to sell high-quality beef, even when prices rose so sharply the past few years. “Sometimes we all get more worried about those price points than maybe the consumer does,” Randy said at our annual conference in September. Certified Angus Beef ® (CAB®) brand sales continued to rise, even as prices did, too. In short, beef-eaters calculated (either subconsciously or through quick math) what the product costs them, and they are saying it’s worth it. The trends look positive, too.